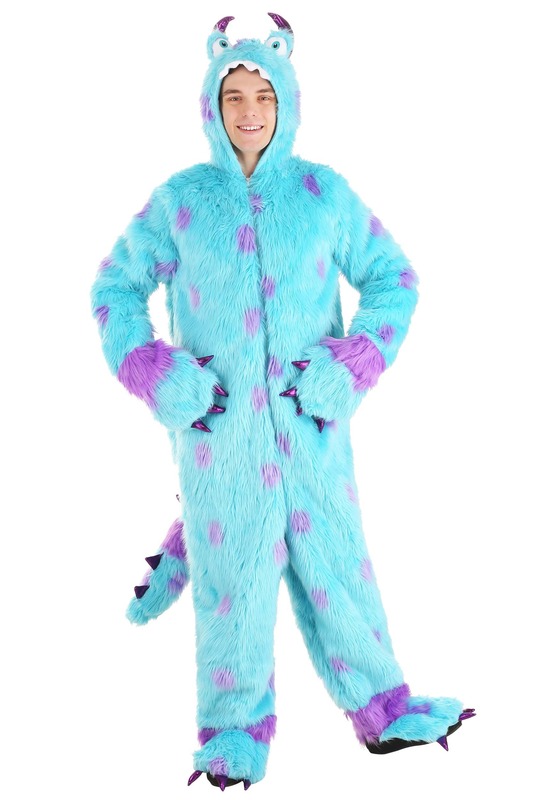 Adult Sullivan the Silly Monster Costume is the perfect costume for hugging! This furry blue jumpsuit is made out of 100% polyester. The suit is easy to step into and then easily zips up the front. There are furry purple polka dots throughout the jumpsuit and purple glittery claws on the attached paws and feet of the jumpsuit. There is also an attached long spotted tail with purple glitter spikes. The hood (also attached) has purple horns, a purple spike, a row of fuzzy white teeth, and large blue eyes. 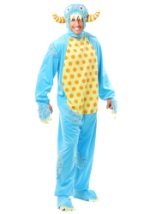 This is a complete costume that is totally comfortable!